Enjoy the fun of the fair with Pirate Roller Coaster. 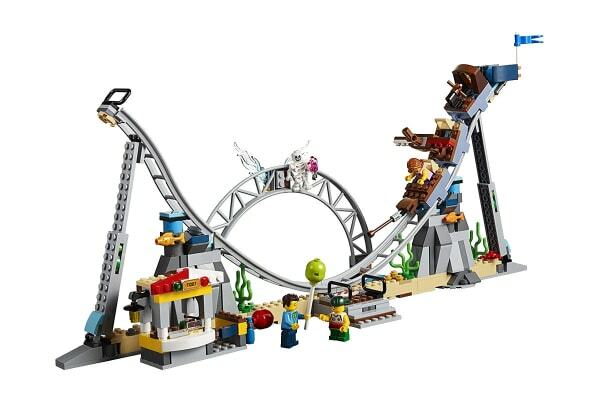 Hold tight and prepare to scream as you set out on the LEGO Creator 3-in-1 Pirate Roller Coaster adventure. 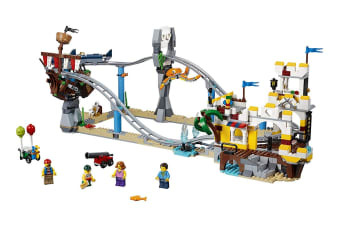 The LEGO Creator Pirate Roller Coaster features a functional roller coaster with pirate-themed props, including a sunken galleon, skull archway, palm tree and an octopus. The working carriages are shark-themed and the ride’s main drop has a water splash feature and cannon that fires water elements. Other features include a ticket booth and a balloon stand. 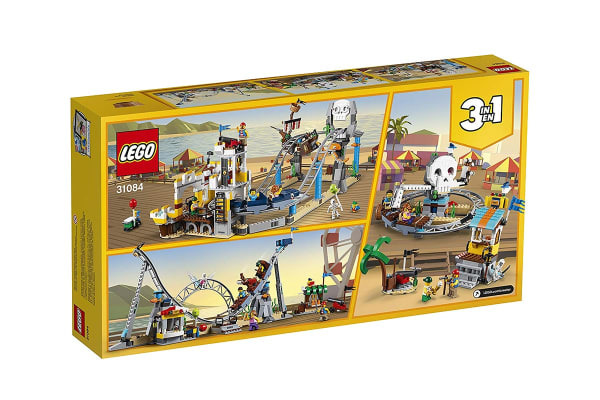 This set can be rebuilt for further LEGO fairground adventures aboard The Skull Ride or The Ship Ride and comes with 4-minifigures ready for the fun of the fairground, plus a skeleton figure.